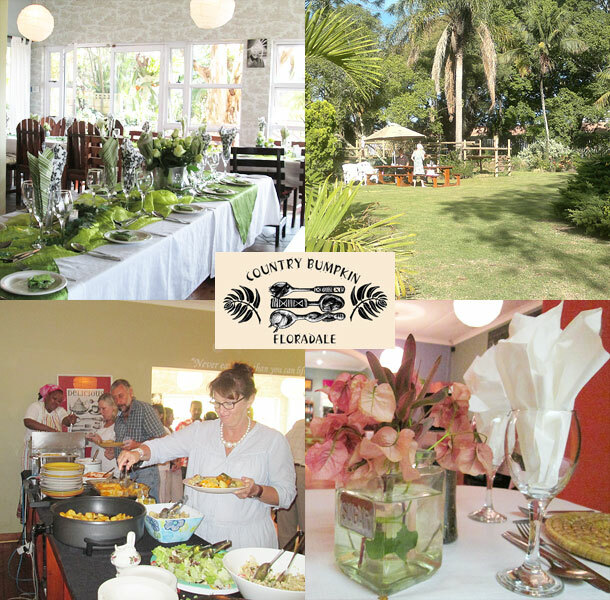 You will find The Country Bumpkin Restaurant at the Floradale Nursery on the Old Transkei Road (R102 / M10 to Gonubie). The Country Bumpkin is the perfect one stop venue that can accommodate both ceremony and reception in a beautiful natural environment. We can develop a tailor made wedding to suit your style and budget. Please contact us for a personalized quote. 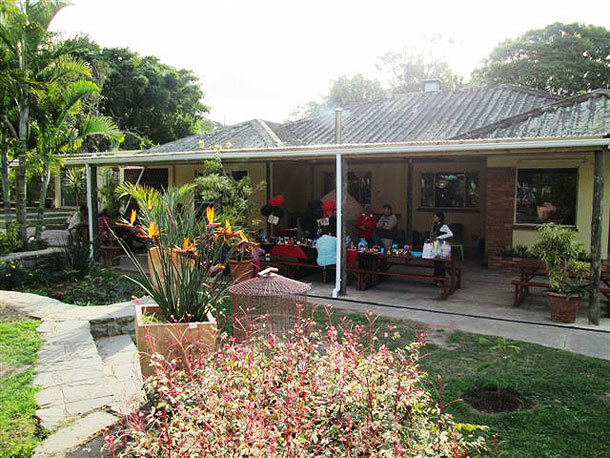 The venue has ample parking and is wheelchair friendly. There is also a huge garden with jungle gym, sandpit, swings and bike track for the kids. The garden area features a covered area large enough to seat about 60 guests. The rest of the garden seats an additional 60 guests. It is very well protected from both north easterly and south westerly breezes. The restaurant itself is divided into two dining areas namely the main restaurant that seats approximately 70 guests and the sunroom which accommodates 45 guests comfortably. Find accommodation in East London and Gonubie within a short driving distance from The Country Bumpkin for your wedding guests. To book this lovely venue visit The Country Bumpkin.